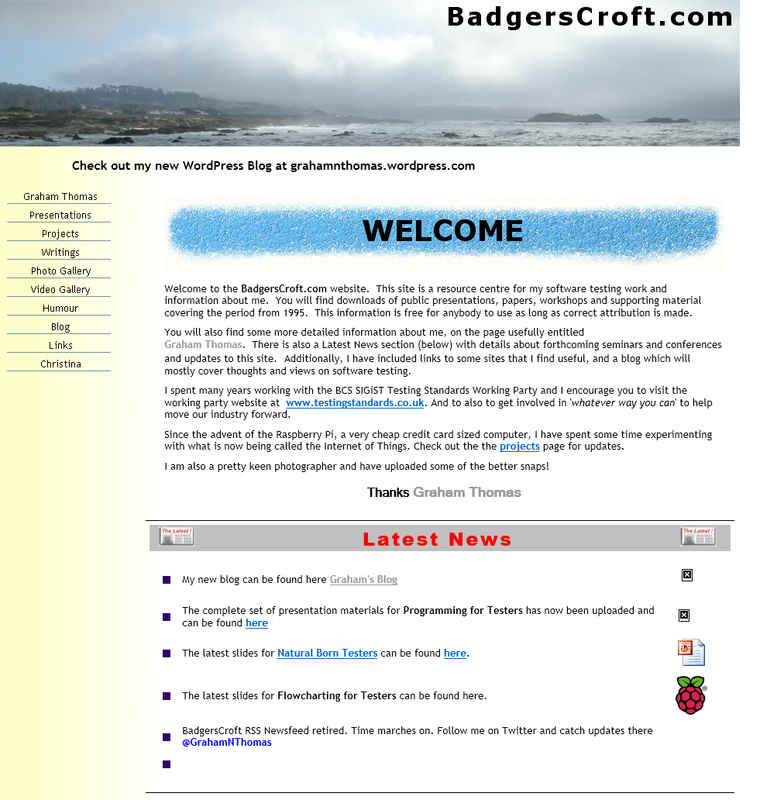 I have today retired the html version of the BadgersCroft.com website, so if you visit the site you will get a ‘404 error – page not found‘. The WordPress site is structured around a blog with post categorisation, has social networking integration, makes full use of the newer browser features, looks cleaner, and is easier to use. It is definitely easier to generate and manage content. As a result I am able to blog more frequently, and more quickly. The quality of the posts is higher, a subjective view I know, and the posts are much richer in their use of links, embedding, and presentation. And presenting the information is easier, through an integrated menu structure, and the use of post indexes which are quick to create and easy to maintain. 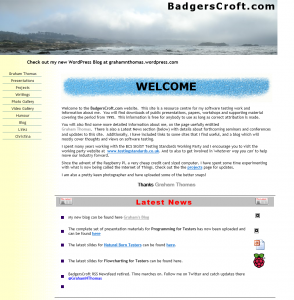 Since the launch of the BadgersCroft.com WordPress site in December 2014, there have been no updates to the html site, so all new material has been on the WordPress site. In just over a year the site has more than doubled in size and scope. An amazing testament to the capabilities of WordPress. If you find that there is something from the old site that is missing from the new, then drop me a line, using the Social Media connectors. Or just to give me some comments, feedback, or future suggestions. This entry was posted in News on 22nd March 2016 by admin.